Welcome to my site dedicated to Street Fighter: The Storytelling Game, a role-playing game (pen and paper) Published by White Wolf in 1994. I have had, by far, more fun playing this game than I have had playing any other role-playing game. It’s pulp vibe and fast-paced combat system let you just run with it and have fun instead of getting bogged down under a pile of rules. And lets face it. The Street Fighter video games, and the early White Wolf game series were some of the most creative and fun franchises ever. Combine the two and it’s solid gold. This site’s goal is to update the out of print role-playing game (which is based on Street Fighter Two) to include the characters, styles, maneuvers and systems of the other video games in the series (Street Fighters Zero, One, Three, Four and Five). There are also some useful tools here like; character creation aids, dice/card apps, printable sheets/cards/maps, errata, articles, fonts, etc. Hey, just wanted to give a huge thank you for all of this! 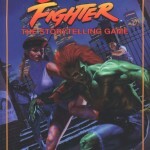 I’m a big fan of Street Fighter and tabletop RPGs, but I only just recently found out about this. It is instantly a favorite of mine! I’ve long since enjoyed White Wolf’s mechanics, but never really their settings – I absolutely LOVE this setting, though! I’m especially impressed by your active efforts to keep up-to-date stats on modern characters, all the way through to Street Fighter 5 today. Serious, serious props! I’m looking forward to running this for my friends during our big upcoming Memorial Day Weekend RPG Get-Together! You know, I have this game, I’ve made multiple characters, but I’ve never played. The focus of it is way too niche for my group of gaming buddies. What if we played in a game? Someone ran it, and we made characters, adventured the world and tried to put an end to Bison together? You know, we could play it on Roll20 or somewhere. He seems to use Balrog’s boxing mixed with Psycho Power. and weird magic from aboriginal shamans ever revealed in any of the Street fighter books? Scuba Slash is treated exactly like using a knife. Knife stats are right on the Tough sheet. Spear stats are on page 142 of the main book. It doesn’t matter where you write them. As far as I know he was planning on doing a supplement to it with all that stuff. I know you are not responsible for putting together the “SF- TSG 20th Anniversary” Rulebook but, do you know this guy well enough to be able to tell me if he’s going to make another one of these compilations? (This time with all the adventures, npc stats, and etc)? As always, thanks so much for this page and its materials available! Have you thought about adding in all the new stuff such as styles, manuevers, backgrounds, special tournaments, special arenas enhancments and weapon modifies from the New Legends campaign setting? I’ll have to look up the frogmen questions for you when I get free time. For the Bison/Sagat questions, I personally tend to just go by the canon from the videogames and ignore the rpg story. You can find some of that in the G-File now under setting. I just read the description of the Frogmen. I understand they use the same statistics that the Toughs use, but my question is where do their special maneuvers of Scuba Slash and Harpoon get placed? Are they placed in Weapons or Maneuvers and Powers? Also what are the speed, damage, and move of these special maneuvers? If you could, can you make a NPC sheet just for them? After reading M. Bison’s bio in Screts of Shadoloo, why is his concept ex-dictator? Shouldn’t it be dictator since he rules Mriganka with an iron fist? Also why are the team sections in the bios of M. Bison and Sagat empty? Shouldn’t the team that they are apart of be Shadoloo? Also isn’t Bison the leader? Love what you are doing, it has helped me in my own games, and I appreciate all the work you put into it! Is there any chance of Final Fight characters making it in? I might do a supplement to cover EX one day, just not in the G-File. My original plan was to do all kinds of random supplements to cover games, books, or movies that sparked my interest, but adult happened and I have much less free time than I once did. Right now I’m focusing on getting the G-File out by the end of the year. There’s an update coming this weekend hopefully. After that there’s an adventure I’m planning based on a movie. I have a lot of work done on that in an old notebook from my past. I don’t have a problem with doing things that aren’t canon, just not in the G-File. Hey there! 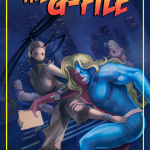 Interesting page, and it’s good to see the old SFRPG getting attention – doubly so with your “G-File” – but I’d question your decision to leave out the SFEX characters. True, it’s not considered canon by Capcom, but neither is the interpretation of the characters in the RPG! Heck, the core book states that Ken and Ryu are students of Shotokan Karate instead of the canon Goutetsu-Ryu Ansatsuken… and that’s not even getting into the original characters the RPG created. Point is – it’d be cool if you included them in a second file, even if you don’t fold them into the main splat.